This picture was contributed by Gene Andrews. 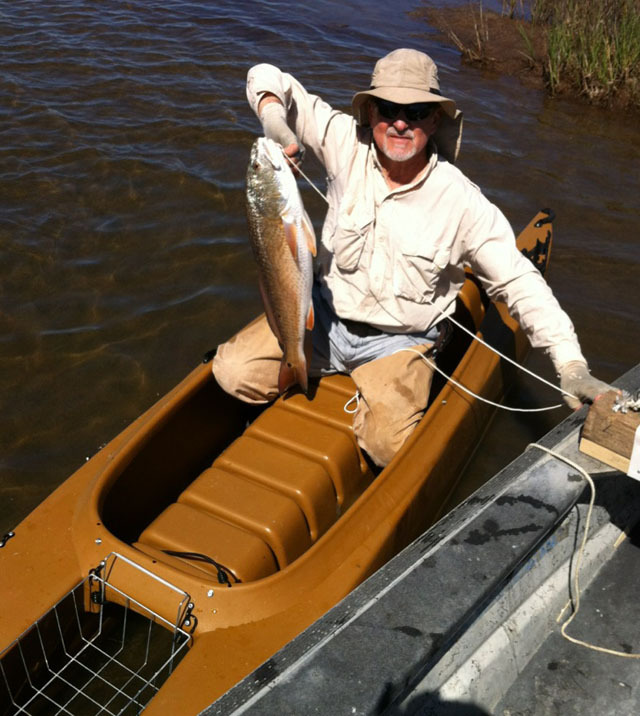 It shows one of his clients testing a W fishing kayak, with obvious success! We decided to race back to the dock on our way in. I took the lead but eventually looked up to see Dad passing me up. He had the long W paddle with him which allows you to stand up while paddling the Wavewalk 500 fishing kayak. I couldn’t believe he won! Of course, I had to take my kayak back out for a second just to see what an advantage paddling while standing up would give a person.